As we close out 2014, we review what has changed in social media and how it affects the future of business. Is Facebook the winner for 2014? Year after year Facebook has solidified the model for successful social media sites, and after 10 years of being on the web, it’s a giant that ranks right up along with Google in terms of prevalence and usage. Even as Google+ has been pushing into the social media world, Facebook is still the giant that all social media sites model after. Even Twitter has continually been making changes to resemble Facebook functionality. And LinkedIn, wow, they are looking more and more like Facebook every day. Sites that claim to have what Facebook doesn’t have been popping up throughout the decade of its existence. This year, specialized sites have been garnering more strength (or at least media attention). Will these niche sites exist at the end of 2015? Whether they’re targeted at a certain age group, privacy, speediness and quirkiness, or generating income through video, these specialized venues allow businesses and companies to reach their clients and target audience with even greater precision. Want to target college students? Start a Yik Yak campaign! Want to generate extra income? Use a Pheed account to create value for your viewers and subscribers. What about Tsu? Garnering any attention over there for your brand? Not likely. Are staple social media sites like Twitter and YouTube growing outdated? No. 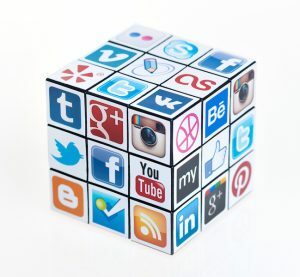 Does it mean that your social media strategy for 2015 will be more complex? Absolutely! The trick, as it always has been, will be figuring out what avenues of social media will reach your target audience the most effectively and spending your time master that website. Google’s SEO algorithms are also rewarding Google+ users with better search rankings. This incentive can make having a Google+ account even more useful and effective in your social media campaign. Mobile awareness has also been growing this year. Sites have made significant changes to help cater to their mobile audience, which makes it easier and more effective for them to gain profits from mobile users. Social media outlets, such as Snapchat, are using mobile users as their primary target audience, companies and businesses are able to narrow their target audience down to even greater specificity. The fact is that social media will continue to change. New social media sites will continue to surface. Some will survive and some will not. The way to make sure your brand is a survivor is to do your research, focus on the sites that meet your brand objects and don’t try to be all things to all people. Social media sites are not pegs you stick into a single whole. They all work differently; have different users and different uses. Which social media sites have you used the most in 2014? Which ones will you be using more in 2015? Which ones will you be using less? Let’s discuss.